One thing that will always make a hot, sunny day better is a scoop of homemade ice cream in a homemade waffle cone! But what to do if the ice cream man isn’t in your neighborhood? Why, make your own of course! It’s much easier to make ice cream than many believe, and it’s also incredibly fun, particularly if the kids are involved. 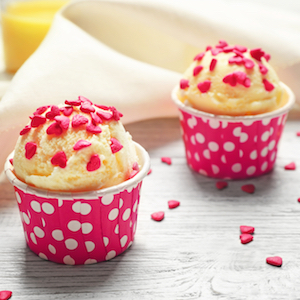 Browse our collection of ice cream recipes for fresh flavors of homemade frozen delights! These sweet treats from Germany will make a beautiful summer’s day even better. 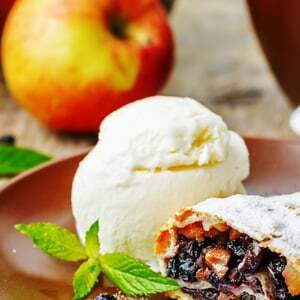 Fresh apples, apple cider, and spice provide the flavor while cream and condensed milk combine for a smooth, creamy ice cream with the appeal of apple pie. 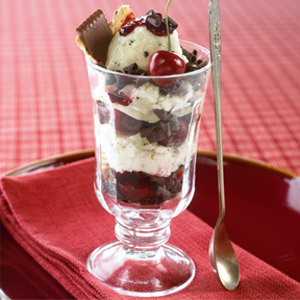 Celebrate German flavors with Black Forest ice cream parfait, easily made from kirsch, chocolate, raspberry preserves, cherries and cookies. 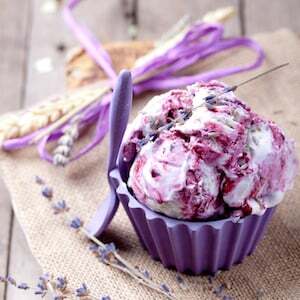 Lavender ice cream is a favorite in Germany, and can be made with fresh or dried flowers. 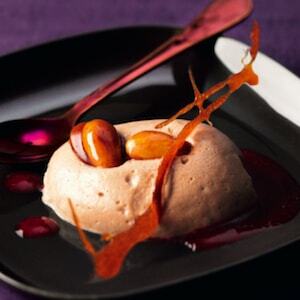 A homemade ice cream with a sophisticated floral flavor. A recipe for creating the wonderful-tasting German classic of marzipan ice cream, known in Germany as "Marzipan Eis!" 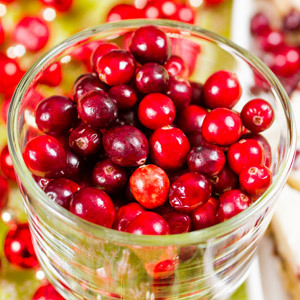 This sweet treat is sure to delight! 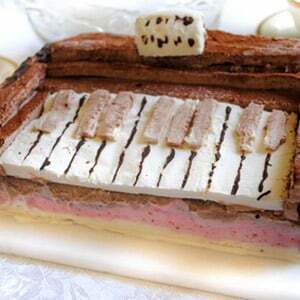 Neapolitan ice cream, or Fürst Pückler Eis, consists of three layers of chocolate, strawberry and vanilla. Also known as Harlequin ice cream. 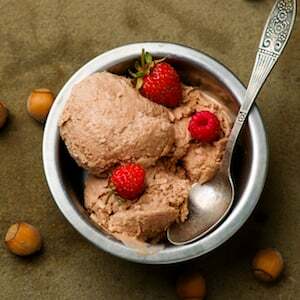 The beloved hazelnut-based spread, Nutella, flavors this Nutella Ice Cream,a popular summer treat that's easy to make at home. 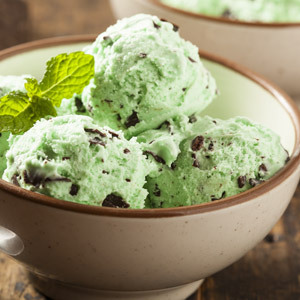 Easy peppermint ice cream uses peppermint syrup for flavoring, and adds German chocolate cookie sticks to complete the classic mint-chocolate pairing. 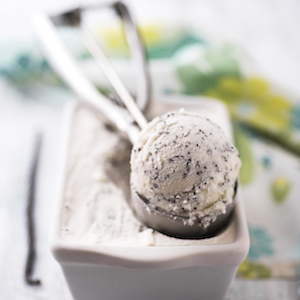 This delicious poppy seed ice cream is a perfect way to cool down in the summer, as well as add some new flavor to your summer routine! (Pumpernickel Eis mit Preiselbeeren) A most unusual ice cream flavored with pumpernickel bread and German chocolate, served with cranberries. 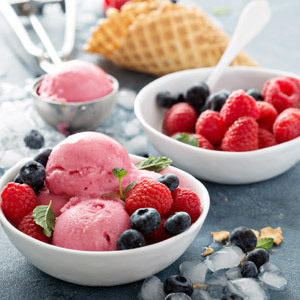 Smooth and creamy, raspberry ice cream is the perfect summer treat - beautiful, fragrant, flavorful, refreshing. 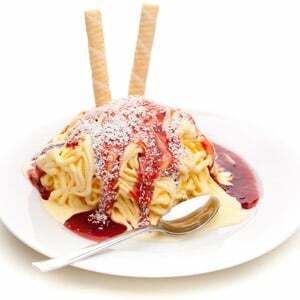 (Spaghetti Eis) A popular ice cream novelty made to look like spaghetti with meatballs. 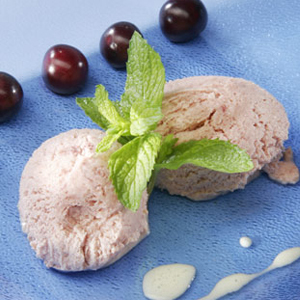 Sweet and tart cherry ice cream gets its flavor with tart cherry fruit preserves and cherry brandy, added to a creamy homemade ice cream base. Homemade vanilla ice cream is a summer classic. Enjoy as it is, or top with berries, compote, sprinkles, chocolate sauce or whatever your heart desires! 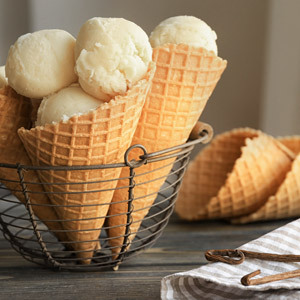 Waffle cones are not difficult to make at home, and kids love to help make them. You can find good waffle cone makers at Williams Sonoma and on Amazon.